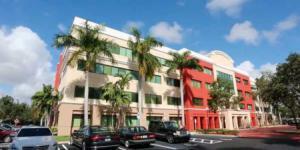 BOCA RATON, FLORIDA, UNITED STATES, July 2, 2018 /EINPresswire.com/ -- To explain important, recent tax law changes, Tax Attorney Richard S. Lehman of Lehman Tax Law announced the release of the first of the six videos which will reflect on all the changes that resulted from the “Tax Cuts and Jobs Act of 2017” (also referred to as “Trump Tax Cuts” or "Act"). Most of the changes introduced by the Act went into effect on January 1, 2018 and will not affect 2017 taxes. Each of the six videos represents an important subject regarding the Internal Revenue Code (IRC) and they will be relevant to many taxpayers, both foreign and domestic. Mr. Richard Lehman has been practicing in Florida for nearly 40 years. He obtained his law degree from Georgetown Law School and his Master’s degree in Taxation from New York University. 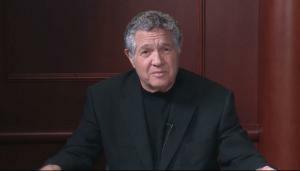 Richard Lehman is a frequent speaker on tax issues and has published several articles on the subject matter. 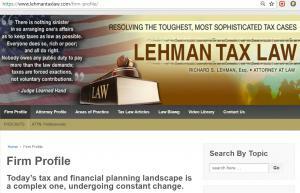 His law firm website is https://www.lehmantaxlaw.com.